Jenna Blogs: If you like that...try this! Only a few days left to enter my $100 Visa Gift Card giveaway! Click the "Giveaway/Review" page above to enter! It's pretty common knowledge now that I have a slight addiction to Starbucks Salted Caramel Hot Chocolate. I talk about it a lot on twitter and several of you have told me you've gone out to try it! Tell me what you thought! Coincidentally I haven't been paying for too many of these. I've mentioned Swagbucks several times before and through just using it as my search engine I've received (and used!) $20 in Starbucks gift cards and am about to get another one! 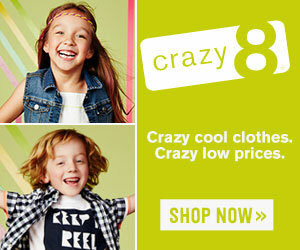 If you don't have an account, just click here and check it out. Back to the point of this post. When I find something I reallllly like, I like to share it with others. My Dad actually found this - and he shared it with me and now I'm sharing it with you! If you like SCHC (salted caramel hot chocolate) then you will LOVE this. 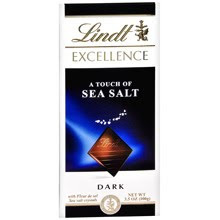 Lindt has a new Sea Salt Dark Chocolate bar out. It is sooooo good! As I tend to do, I mentioned this on twitter too...and I think everyone who has tried it really liked it! So go out and enjoy!